Who likes Insects? Well, I don't but I sure don't mind some on my clothes! Inspired by the insects of the world, Rimi Nayak’s quaintly titled collection “Insect in My Closet” was a stylish study of construction at Lakmé Fashion Week Summer/Resort 2012. 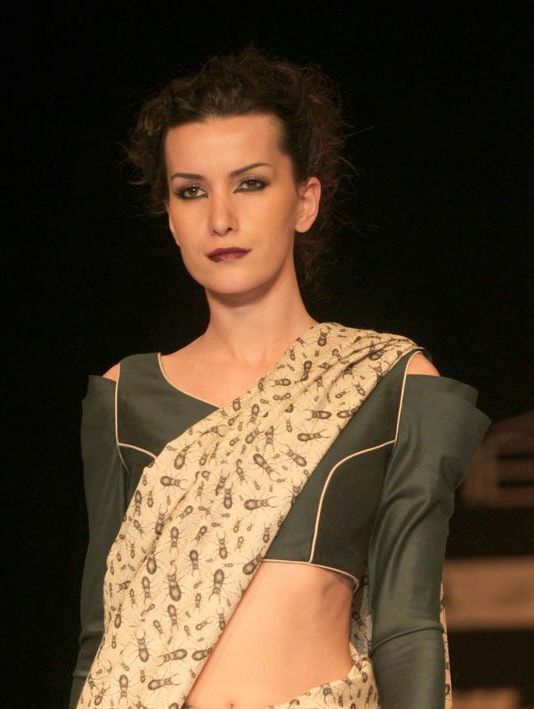 Rimi cleverly used bug prints on her sarees, dresses, scarves and tunics to make normal outfits looks quirky and fun. Certain garments had structured directly borrowed from the shape of insects that looked super wicked. Some outfits even had bug shaped brooches on them. This was a quirky and fun collection which will surely appeal to fashionistas with unique style, with each piece being quite a conversation starter. There are so many beautiful pieces!